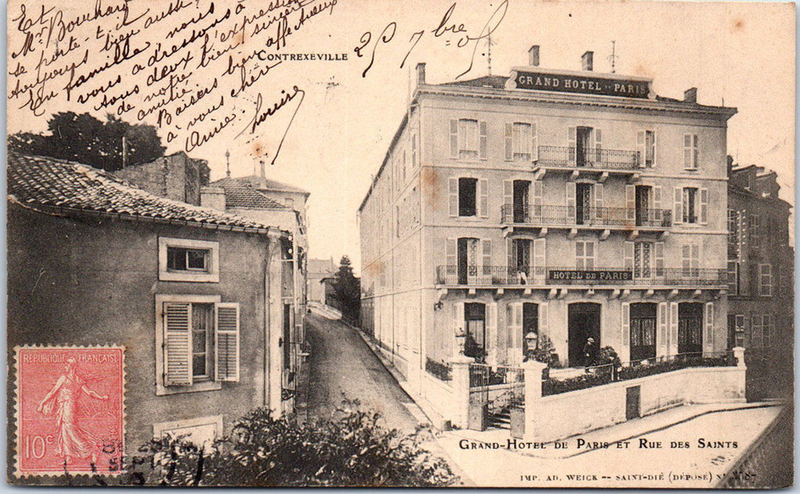 Diagonally across the street from the Providence, on the opposite corner, was the four-story Hotel de Paris, with a bed capacity of 200, and back of, and adjoining it, was a somewhat smaller three-story building, the Providence Annex, accommodating about 125 beds. 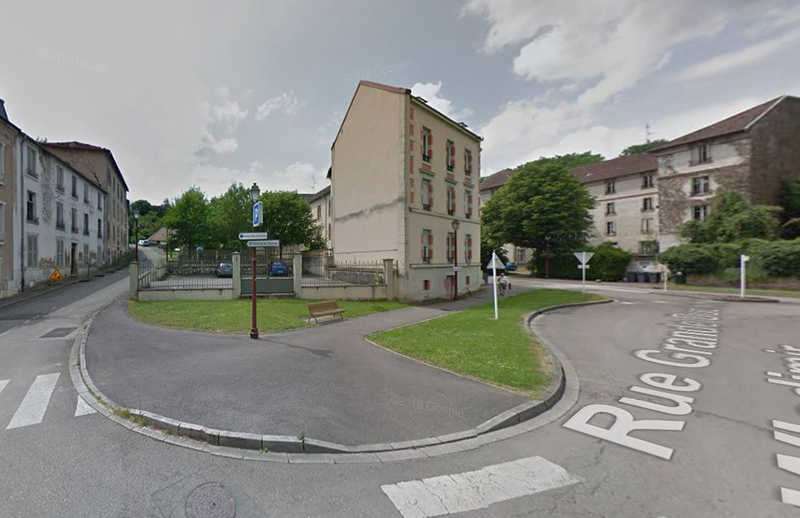 Two hotel buildings constituted the surgical section. 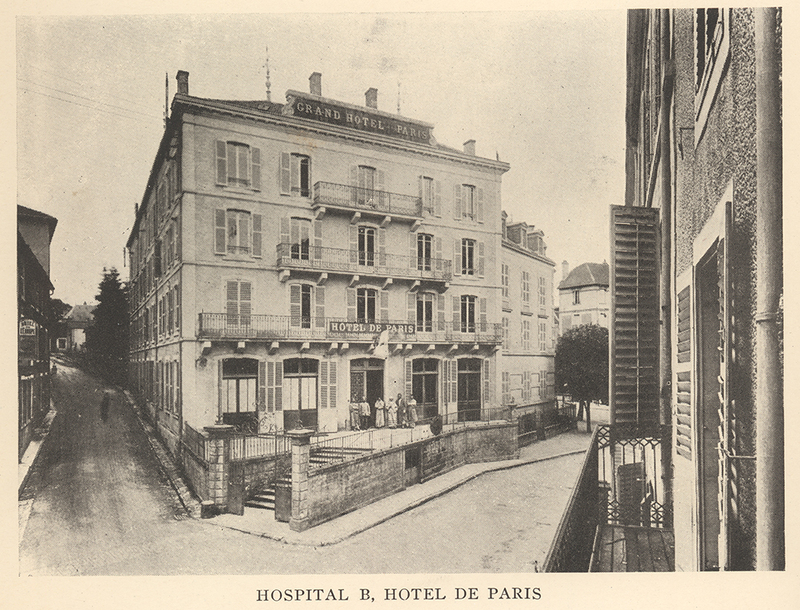 The larger hotel, Hospital A, familiarly known as the Cosmopolitain, with a capacity of approximately 900 beds, received the grande blesse or seriously wounded patients. 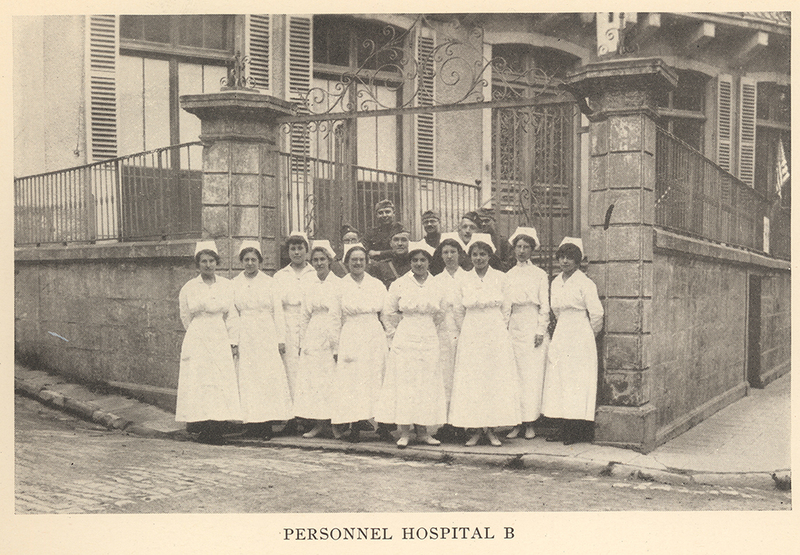 The smaller hotel, the Paris, known officially as Hospital B, with a capacity of 275 beds, received the petite blesse or those whose wounds were regarded as of minor significance. 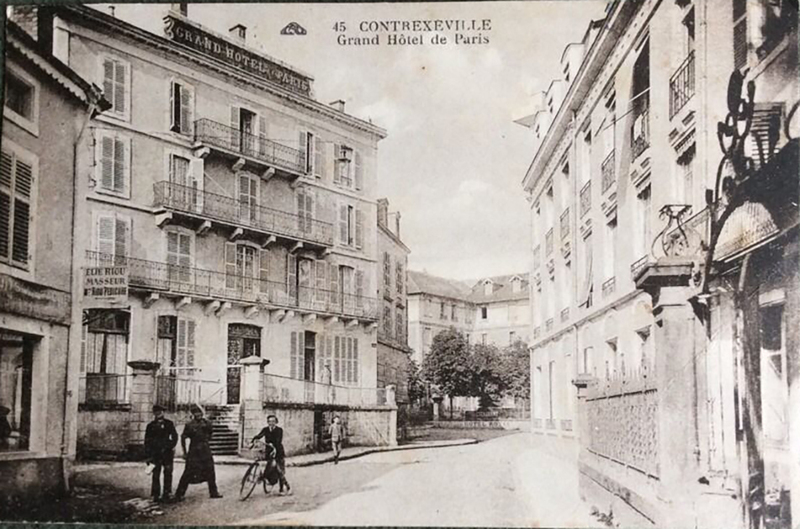 In addition to the five hospital buildings assigned to 32 the following buildings were leased for other purposes: Hotel Moderne Annex for headquarters officers, Cosmopolitain- Palace Garage for garage, Hotel de Paris Annex for officers' quarters, the Jean Cretaux Garage for a warehouse, and a glass-enclosed sun porch built against one side of the Hotel Moderne, together with an old theater on the hill back of it, for enlisted men's quarters.